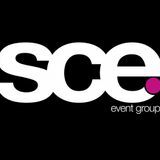 The SCE Event Group is a NJ based entertainment group that provides talent solutions for events nationwide. We pride ourselves on excellence, incredibly dynamic shows and mind bending events for the social elite, companies that care about image, and couture influencers. From fashion, to private celebrity filled vip events, and everything in between, we invite you to tune in to our mixcloud station to experience what SCE is all about. For more information visit our site online - http://sceeventgroup.com. Or connect with us on social media @sceeventgroup.